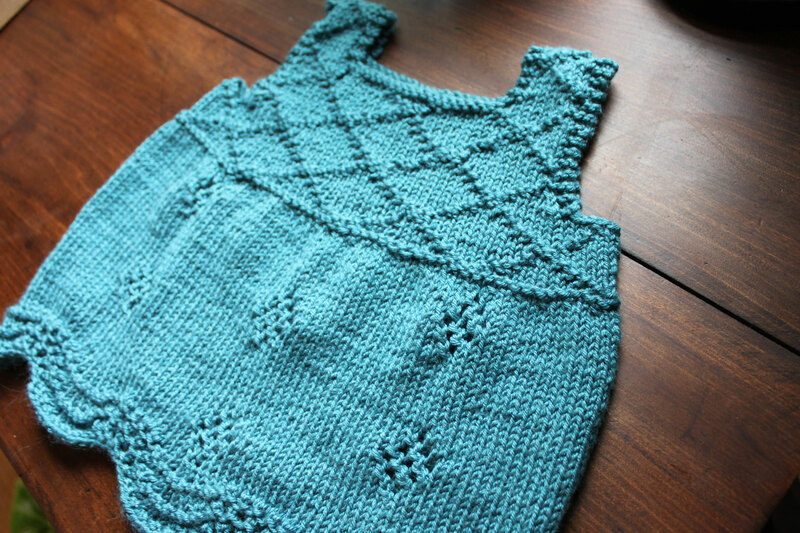 This is a knitted dress I made for a friend’s baby. I love making baby gifts because the time I spend on them gives me time to think about the new baby. This dress is going to a first baby for such a nice couple, and while I made it I got to recall all the excitement and love and expectation that comes along with waiting for a first baby–and a girl, too. What a treat! I used the Garden Trellis Dress pattern from the book Sock Yarn One Skein Wonders. I used sport-weight yarn, so mine is a little bigger than prescribed, but I knew that going in. 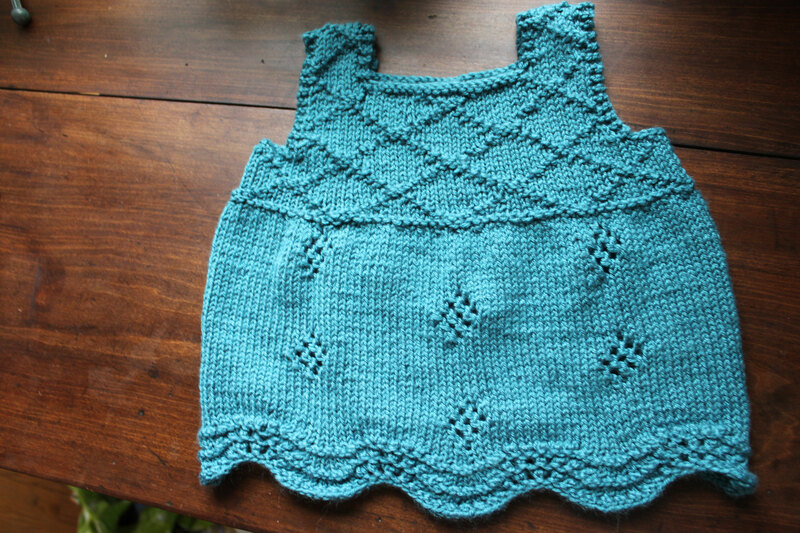 I actually very much like the size it turned out because I think it will fit the baby in her first year as a dress, and in her second as a tunic. I used Knit Picks’ Brava yarn in Tidepool so it could be easily laundered. I got a little sidetracked and miscounted on some of the diamonds on the skirt, so they aren’t in exactly the right places according to the pattern, but I felt like you wouldn’t know something was wrong unless you were staring at the pattern so I just went with it.